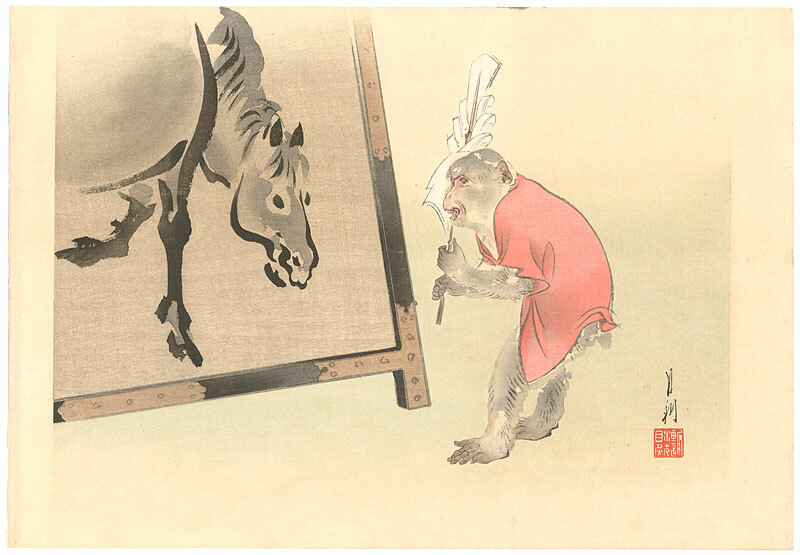 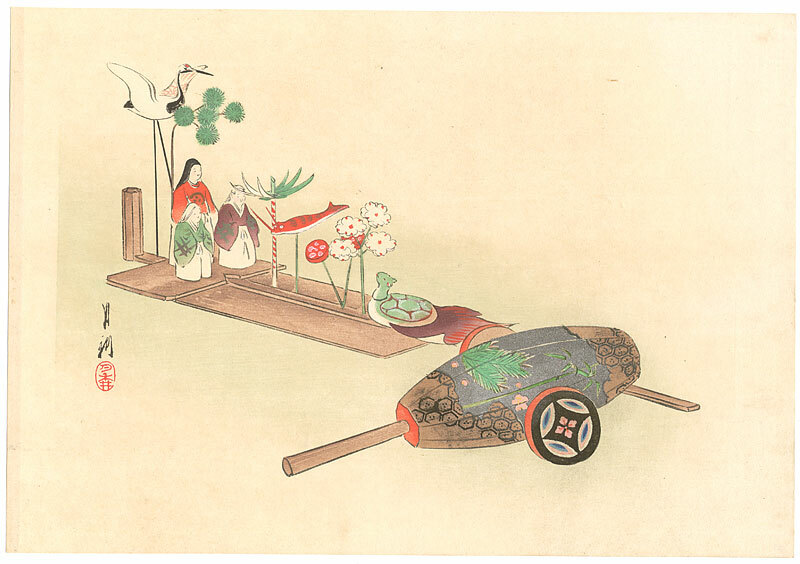 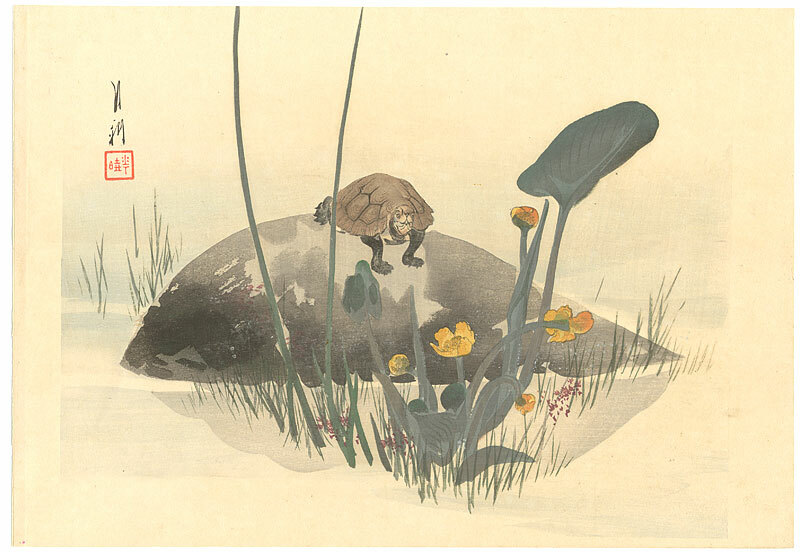 The series itself shows a variety of natural scenes very much in the Maruyama Shijo style plus one rather amusing illustration of a monkey dressed as an artist, perhaps this is Gekko making fun of himself. 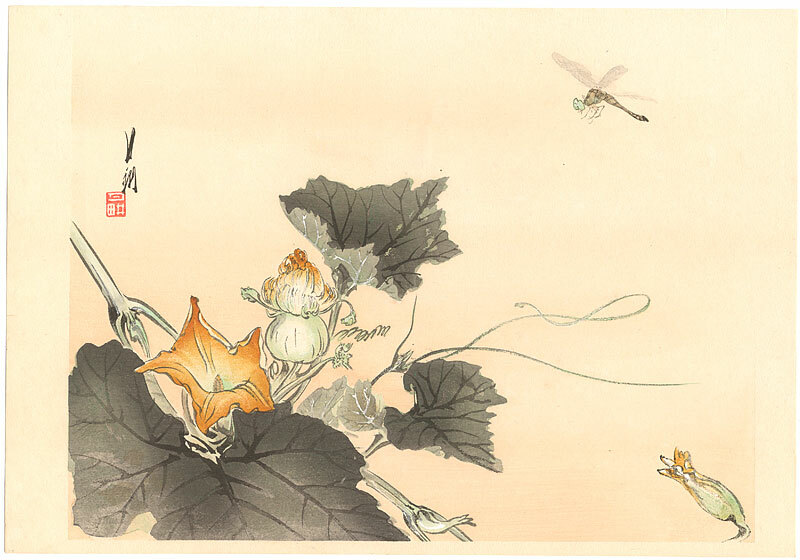 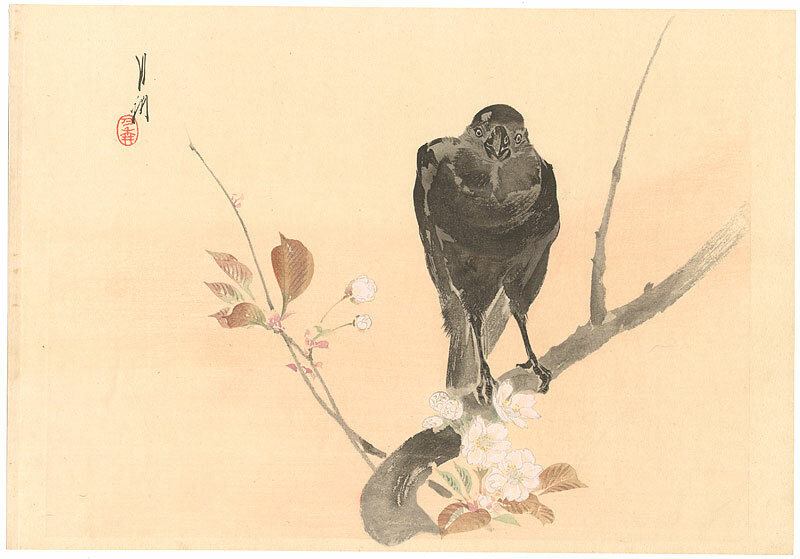 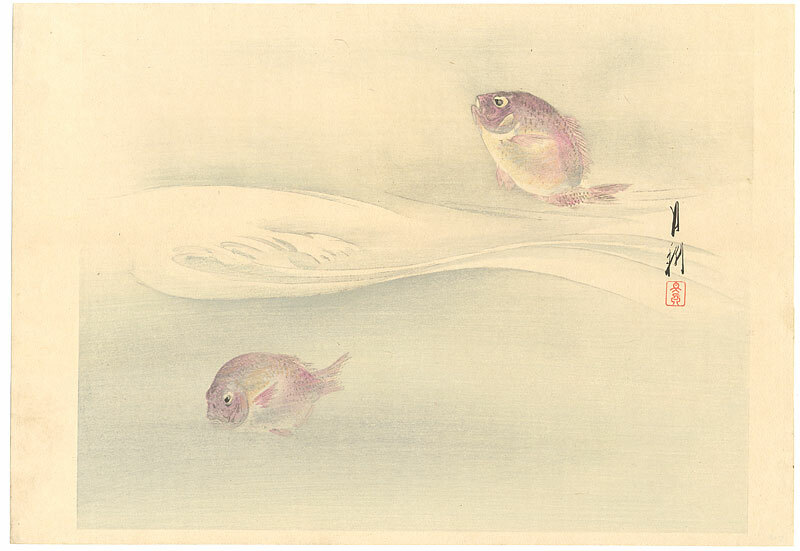 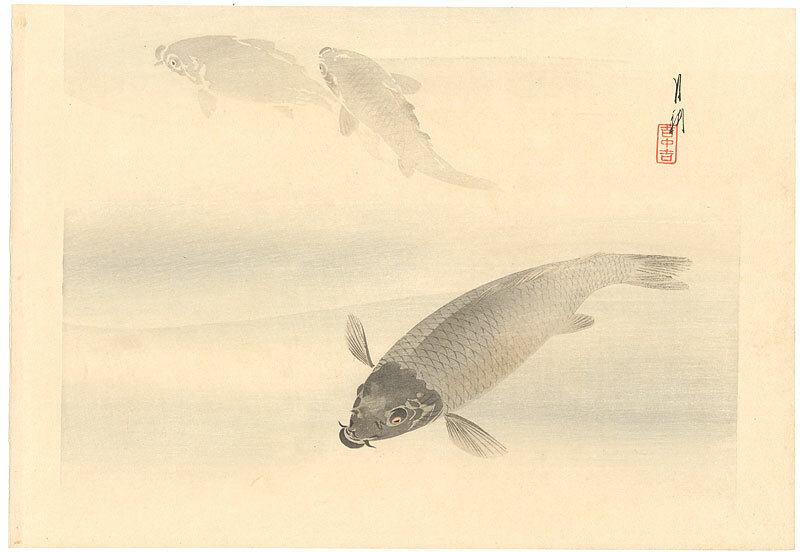 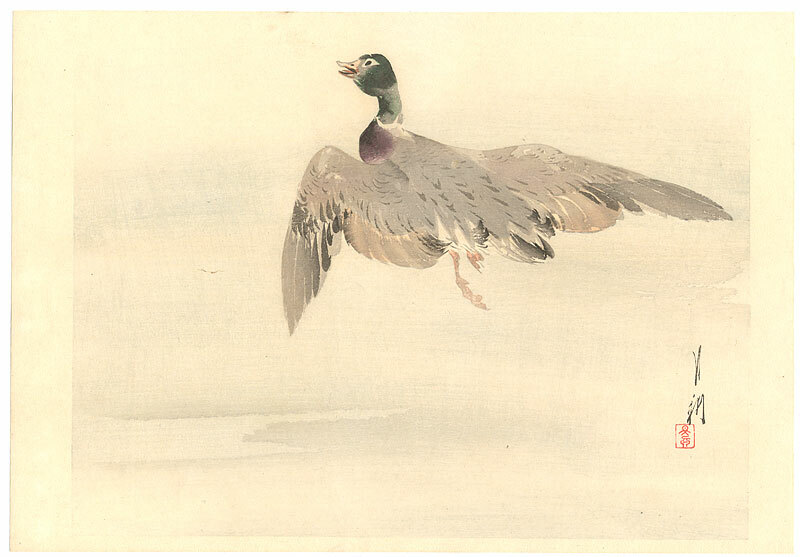 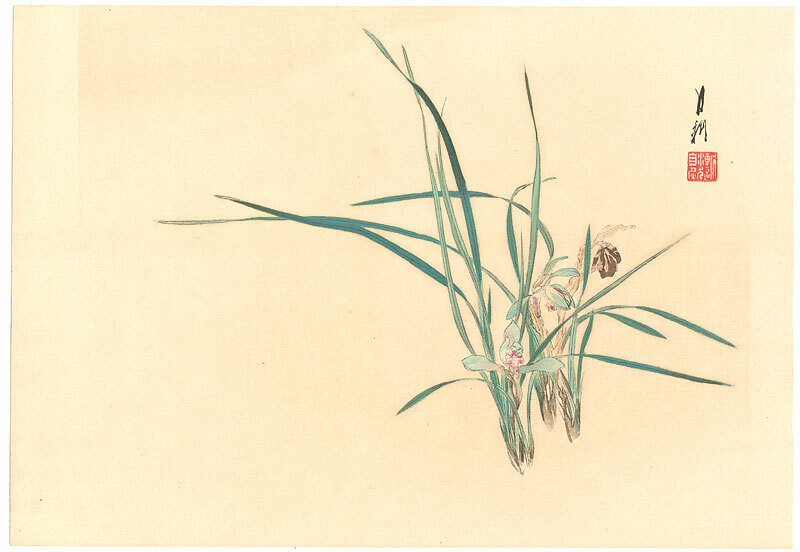 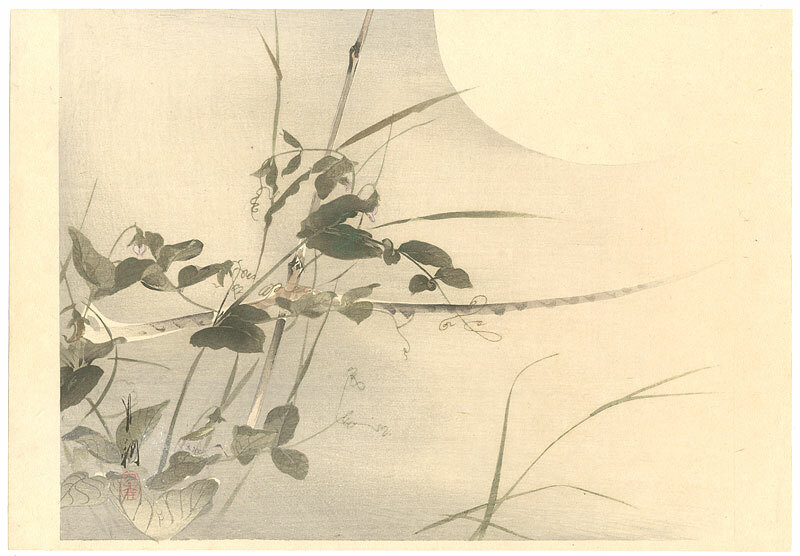 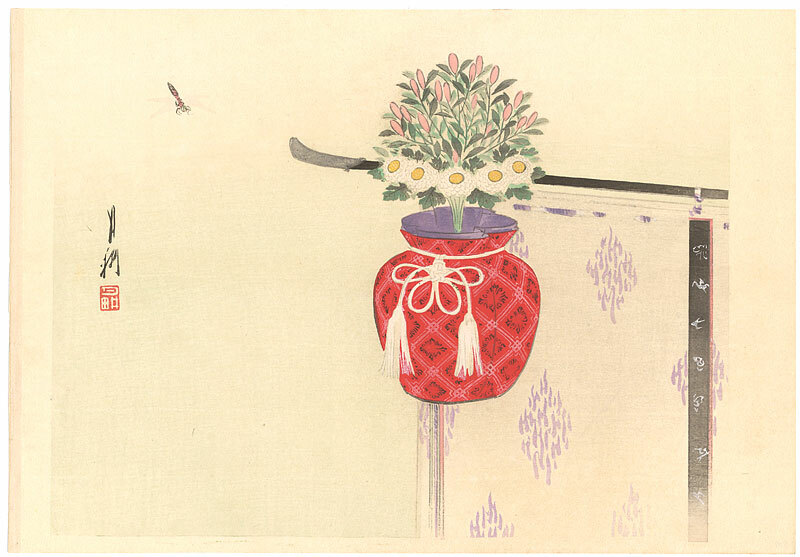 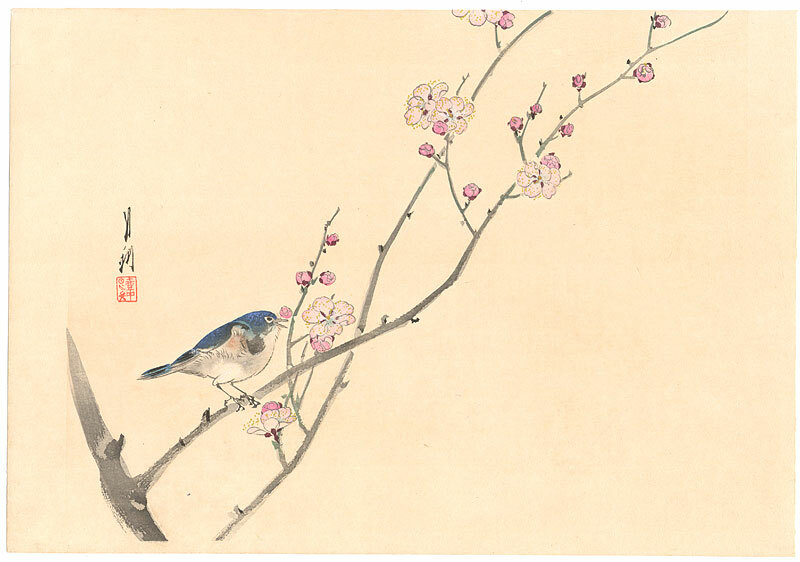 The level of finesse in this work is outstanding and several of the prints highlight Gekko's pioneering use of the sashiagi printing technique which imitates the brush strokes of a painting. 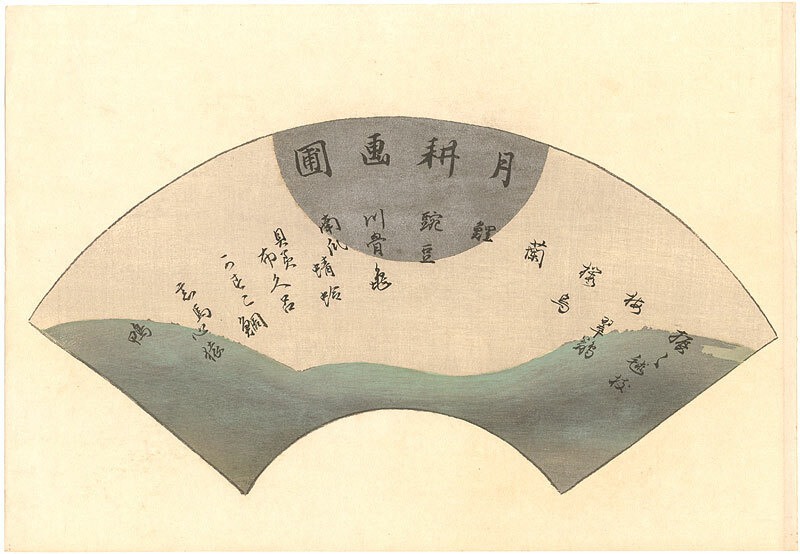 The prints are listed here in the order they appear on the title page and the title given where translated.